Unlike with day hikes, when you set out on a backpacking trip you won’t want to limit your food intake to trail mix, energy bars, and peanut butter sandwiches. Sure, you can do that if you like, but your experience will likely end up being much better if you can make a hot meal or wake up to your usual cup of joe. Knowing that you want a good backpacking stove is the easy part – figuring out which one best meets your needs takes a little research and the best option varies by backpacker. There are a lot of factors to consider before checking out the available options, so we’ll cover the most important things you should be thinking about before making that purchase. And, we’ll also share some of our editor picks for the best backpacking stoves for the money right now, in case you need a little help making a decision. Before you start your shopping, there are a few features and other factors to consider. Knowing what you’re looking for in a backpacking or camping stove makes it easier to narrow down the model that will work for your trekking needs. 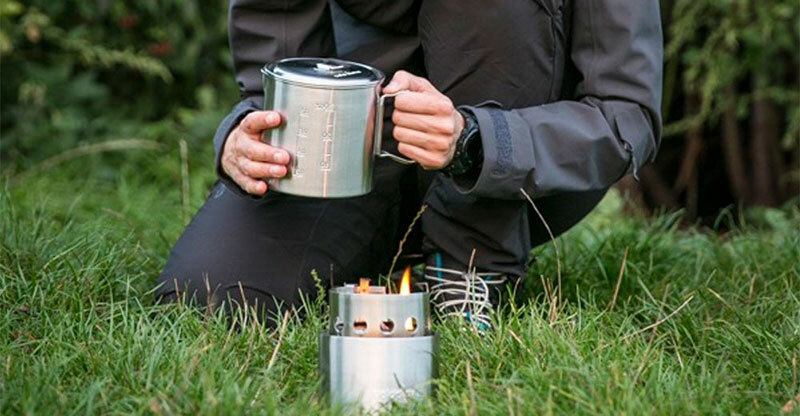 Liquid fuel stoves offer a quick boil in all temperatures (even those cold winter months). However, simmering capability varies by each specific model. Weight of Stove – Since you’re carrying this in your pack, you obviously want the most lightweight backpacking stove on the market. Weight varies by type and model, but also be sure to consider the weight of any fuel that you’ll need to carry. Burn time – You’ll definitely want to consider how long of a burn you’ll get from your fuel when comparing stoves. Why? Because fuel costs can add up, and so can the weight of needing to carry a lot of fuel for a long trip. 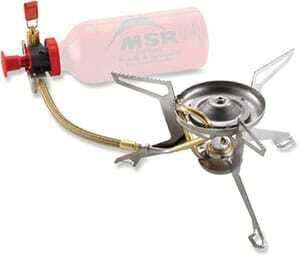 Stabilizers – If you’re klutzy or concerned about your camp stove tipping over, then consider a stove that can accommodate a stabilizer. These are sold separately but really do help reduce the likelihood of your stove tipping over. Piezo-igniter – Here at Active Weekender, we are BIG fans of this type of ignition system. It’s a push button spark igniter that you can find on some canister stoves. And it is super easy to use Why do you want this? Because it will work when those matches get wet or lost in your pack. If you want the absolute easiest to use option, then you should stick with canister stoves. If versatility is more important, then go with a liquid fuel model. Keep in mind that liquid fuel models are ideal for international travel. Loved by backpackers all over the world for their ease of use, here at Active Weekender we really like that this type is low maintenance. You take a fuel canister and screw the stove onto the threaded top, and you’re ready to start cooking. Another benefit to the canister model is that it is probably the most compact and lightweight backpacking stove type on the market. These things typically fold up for easy storage and transport and weigh in at only a few ounces. Of course, that weight does not include the canister. 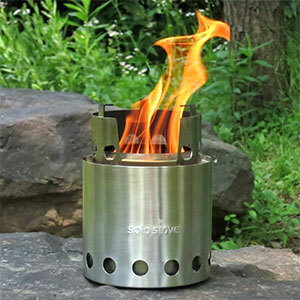 One negative to this model of backpacking stove is that they are primarily used in North America, so if you are traveling abroad it can be difficult to find canisters that work in them. However, there are some international locations that cater to Americans and make it easy for you to find the proper canisters. As you shop, you’ll notice two different varieties of canister stoves on the market. Integrated canister systems are designed primarily for boiling water quickly. Their design features a tall profile system with a burner that you screw on the canister. With a twist-on, you can easily use a French press for coffee or a cooking pot with a lid. One word of warning though – these things are notorious for tipping over if you aren’t careful, and no one wants to start the morning with their French press coffee all over the ground. Remote canister stoves are good for large pots since they have wider and more stable arms. What’s unique about this type is that it has its own base and a fuel hose to connect it to the canister. This does result in a bit more bulk and ounces in your pack, but it still breaks down small and compact. Here’s a look at the basic overview of the pros and cons of canister backpacking stoves. As you can see, there is a lot to like about this option, but it is not ideal for everyone. Keep reading to learn about the other two options out there. If you don’t mind the extra weight, then a liquid fuel model is a great choice. These are designed to run on white gas and they burn clean and hot. If you’re going to be out in below freezing temperatures, then you’ll get the best performance from one of these models for sure. However, they do typically cost you a bit more overall when you add up the cost of the stove and the fuel. Lightweight at only 10.9 oz. A multi-fuel backpacking stove can be a real asset since you don’t have to stress about finding a specific type of fuel. In fact, most can burn diesel, kerosene, jet fuel, and unleaded automobile gasoline (in addition to white gas). However, when you don’t use white gas, you run the risk of clogging the parts. One thing to remember is that unleaded automobile gasoline has additives in it, which can damage the stove. The two major downsides to liquid fuel stoves are the required priming and maintenance. When you want to cook something, you have to prime it by igniting some fuel in a cup below the burner. This preheats the fuel line so that the stove can turn the fuel into a vapor. So, that’s kind of a drag to have to deal with every single time. This model also needs some periodic cleaning of the fuel hose. You’ll also likely need to replace some O-rings here and there over time. To help you decide if any of those three options are ideal for you, let’s look at the pros and cons of each one. If you don’t want to carry fuel cause you’re on a long trip or just to keep you pack light, then this is a great choice for you. Lightweight at only 9 oz. If you are into ultralight backpacking, then look no further than one of these. Often, you can get a model that folds up small enough to fit into your pocket! This is another good option for ultralight backpackers due to the low weight of the stove. All you need is it and a bottle of alcohol to do your cooking. If you are a new user of backpacking or camping stoves, then there are a few rules to remember to keep you and your group safe out there. Never cook inside your tent or any other enclosed space. Why? Because you can get carbon monoxide poisoning, in addition to creating a serious fire risk. Always carry storm-proof matches, even if you have a piezo igniter cause you never know if it might fail. Place your stove on the most level surface you can find when you want to use it. Before you light it, check your stove for damage and leaks (including valves, fuel lines and connections). An old vehicle license plate makes a great level surface for your stove, especially on soft ground, if you don’t mind the extra weight in your pack. Keep a multi-tool with pliers in your pack in the case you need to do some on-the-spot repairs to your stove. In addition to the general usage tips above, there are few things that you need to know about canister models. Warmth helps keep the pressure up in your canister, so keep it in your jacket pocket during the day and sleeping bag at night to keep it warm. New canisters have a wee bit of air at the top, but will flow and ignite after that bleeds off. Don’t waste fuel at high elevations by using a model with a pressure regulator. Put a piece of foam under the canister when cooking on snow, or you’ll end up with a chunk of ice stuck to the bottom when you’re done. Not all recyclers accept empty canisters, so check around to find where you can discard your waste. Most fuel canisters can be used with any brands, but manufacturers recommend using their fuel with their stoves for the best results. 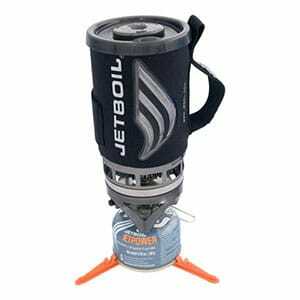 Like the canister models, there are some additional usage tips that you need to know before using your liquid fuel backpacking camp stove for the first time. Keep the stove soot-free by using alcohol for priming. When storing your stove for months, be sure to empty the fuel tank. Never fill the tank to the brim because fuel expands as it warms and you need that space to prevent pressure buildup. Take care to not fill the fuel on your skin. In cold condition, this can lead to frostbite since the fuel evaporates rapidly in the cold. Avoid using aged white gas because it degrades over time. If you have to use aged white gas, strain out sediment that has formed with a filter to prevent clogging your stove. White gas that has a color tint means that it is past its prime. By far, wood burning stoves have to be the best.